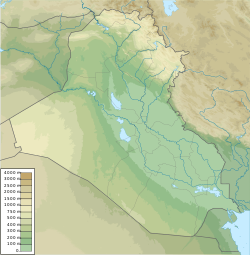 ↑ "Iraq: Livelihoods at risk as level of Lake Razaza falls". IRIN News. 5 March 2008. अभिगमन तिथि 25 November 2015. ↑ Under Fire: Untold Stories from the Front Line of the Iraq War. Reuters Prentice Hall. January 2004. पृ॰ 15. आई॰ऍस॰बी॰ऍन॰ 978-0-13-142397-8. ↑ "कर्बला का इतिहास" (अंग्रेज़ी में). अभिगमन तिथि 17 नवम्बर 2008.